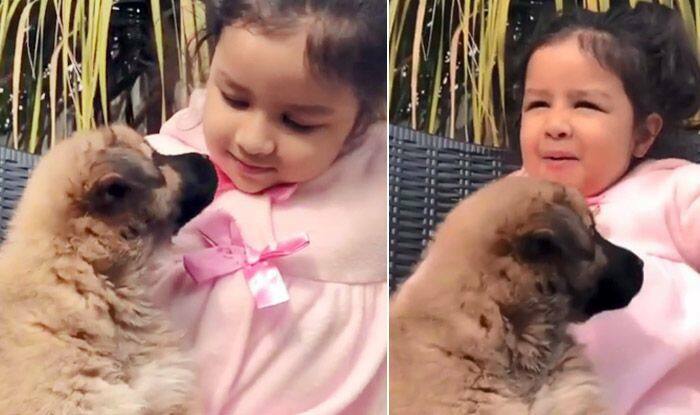 Ziva's love for animals is pretty evident as she held the puppy. Cricketer Mahendra Singh Dhoni’s daughter Ziva continues to win hearts on the internet with her cute and adorable antics. There have been many pictures and videos of the little munchkin doing a number of things along with her father or by herself, and most of the time they have gone viral. The most recent video to come up is of Ziva holding a little puppy on her lap. Looking pretty in a pink top with blue pants and a ponytail, Ziva was totally bewitched by the puppy as she held him, and had the most beautiful smile on her face. It seems the love for animals runs in the family, as Dhoni himself showed in a video he had posted to his Instagram page last year. In the video, which he captioned as, “A bit of hugging, training, catching practice and getting unconditional love in return. Priceless”, Dhoni could be seen playing with a number of dogs and giving them hugs. On the cricketing front, Dhoni has been in ominous form. He recently bagged the Man of the Series award for his consistent show in Australia. He had amassed 193 runs in the three-match ODI series.